Shell Script: Create a script that will take a (recursive) copy of files in /etc so that a beginning system administrator can edit files without fear. Q:Create a script that will take a (recursive) copy of files in /etc so that a beginning system administrator can edit files without fear. echo "This script will make extra copy of each directory and file"
echo "Give the directory like:/home/user/Desktop/anuj"
echo "$a dir found. You wana proced for dir section ? pess y "
echo "all done for dir portion . now we will copy files . press y to pressed"
echo "$b file are present"
echo "As u did not pressed y so we will quit . Start from begining press $0"
echo "As u did not pressed y so we will quit .But all directries are coppied. Start from begining press $0"
echo "No $a such dir "
1) It does not take backup of hidden directories and hidden files. 2) It copies on first level only. It should not take back up of directories instead it should go inside the directories and subdirectories and take back up of files so every backup file will be placed beside itself. 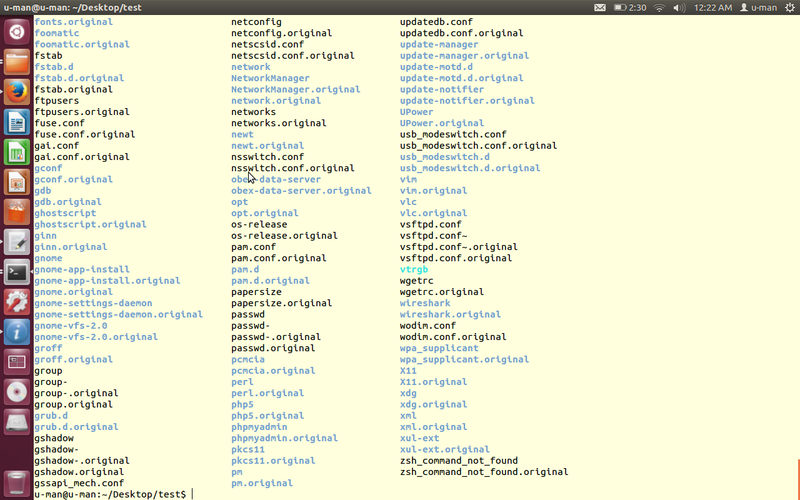 3)And if you are just copy files and directories beside it, why these lots of ifs and elses, rsync can easily do this. You can see my blog, how eaily and efficiently it can be done. Thanks dude , i will publish another one .